As the latest continuation of T-Mobile’s quest to get more people streaming video (or possibly just take over the world in some yet-to-be-determined evil plot), the data-cap-free Binge On program now has some new members. 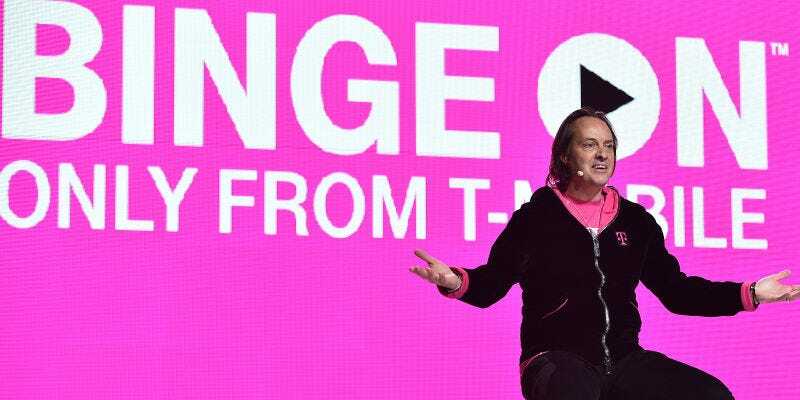 A quick refresher on Binge On: it’s a T-Mobile program that lets you stream video without it counting against your data allowance, provided that the video service in question works with T-Mobile to ‘optimize’ (read: reduce to non-HD) video streams. Notable existing members include Netflix, Hulu and ESPN. You can now add Amazon Video and Univision, the world’s largest Spanish-language network, to that list. Binge On is a slightly controversial program: it’s good for video addicts, but prioritising some network traffic over others runs afoul of net neutrality, the key principle of a fair and free web. Still, the more services that join Binge-On (for free! ), the less selective the program gets, letting us guardians of the internet take a break from pitchfork-sharpening for a few days.